Dr. Coleman, a board certified internist and infectious diseases specialist, is the John Wade Professor and Chair of the Department of Medicine at the Boston University School of Medicine and Physician-in-Chief at Boston Medical Center. He has had a long-standing interest in basic mechanisms of macrophage function and the role of cytokines in regulating host defenses. His recent work has focused on medical professionalism in medical education and clinical practice. Prior to assuming his current position, Dr. Coleman was Chief of Medical Service at the VA Connecticut Healthcare System and Interim Chair of the Department of Medicine at Yale University School of Medicine. 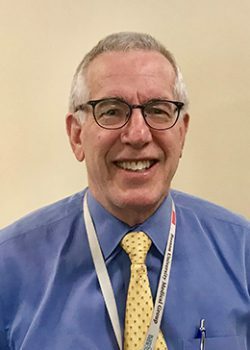 He serves on the Board of Trustees of the Boston Medical Center, on the Board of Directors of the Faculty Practice Plan of Boston Medical Center and Boston University School of Medicine, and is a member of the Executive Committee at Boston University School of Medicine. Dr. Coleman is a fellow of the American College of Physicians. He also serves as an at-large member of the Council of the Association of Professors of Medicine. Dr. Coleman serves as Secretary on the Board of Directors of the American Board of Internal Medicine (ABIM), serves on the ABIM Foundation Board of Trustees and is also a member of the ABIM Internal Medicine Board Exam Committee.